A fashion show by Lee Young Hee was part of the SGKStar 2015, a three-day festival showcasing beauty, culture and the arts from South Korea. The event marks the 40th diplomatic anniversary between South Korea and Singapore. 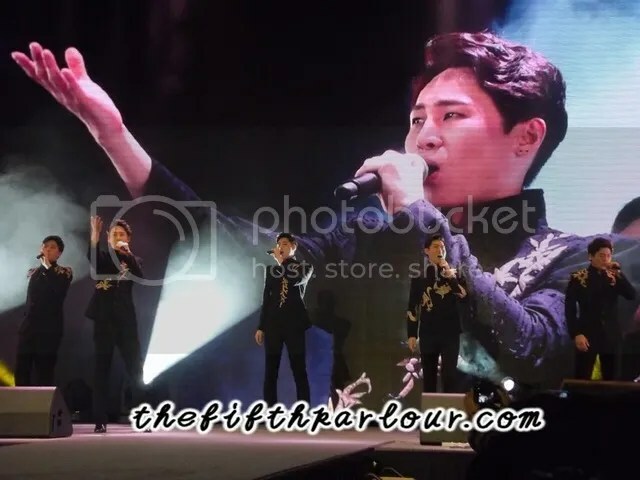 Before feasting our eyes on the beautiful Hanbok, Uangel Voice Choir, a vocal group from South Korea entertained the audience with Korean melodies and a cover of Josh Groban’s popular hit, You Raised Me Up. Dressed in black with gold embroidery, they even sang a birthday song for a little girl. The world renowned Korean traditional Hanbok designer, Lee Young Hee showcased her contemporary Hanbok designs on the runway. Divided into three segments, the 40 minutes fashion show described the development in the fashion world. 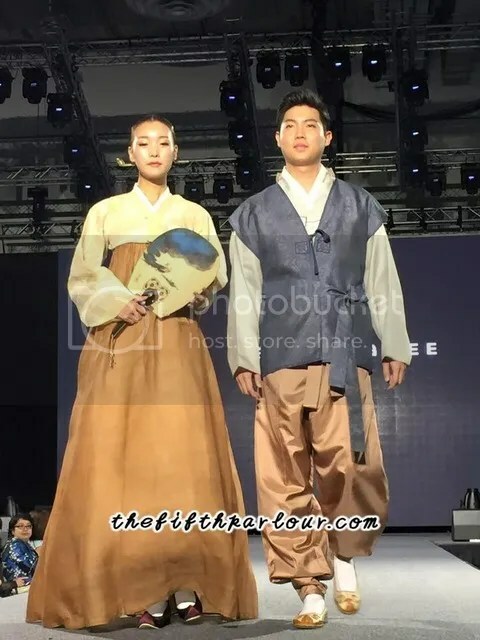 Going back to basics, Lee started the show with the line up of traditional Hanbok worn by the everyday men and women in Korea. She has been recognised for promoting the Korean cultural identity to the world. She even has a museum in Manhattan, New York to educate the world on the rich cultural value of Korea. As the show progresses, the design develops into more sophisticated dresses for the everyday women. It varied from the elaborate use of hair accessories such as the Gache (wig). Her designs goes beyond the traditional two piece components of the hanbok also known as Chima(skirt) and Jeogori(blouse). Lee ended the show with Clothes of Wind. She stayed loyal to the basic structure of the hanbok by using silk and some floral prints to enhance the femininity look. It was a strapless silk dress which was featured at the Lee Young Hee Exhibition at the Dongdaemun Design Plaza, Seoul in October. The South Korean fashion extraordinaire wowed the crowd with her dazzling collection on the fashion runway. The hanbok is a true national treasure by Koreans and loved by the world. 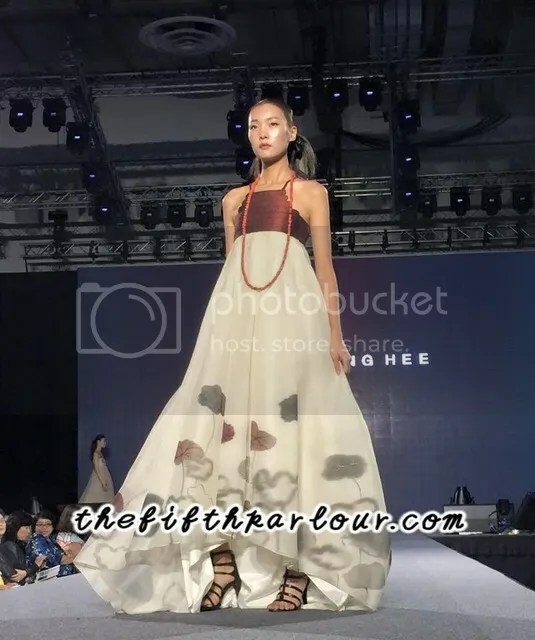 This was Lee Young Hee’s first time showcasing her stunning and beautiful collection in Singapore. The Fifth Parlour would like to thank SGKStar for the invitation.